A Law which can protect the Earth! Join us in our call for an Ecocide Law! We have international laws against genocide, stating that you cannot systematically kill other human beings. But why not have a law against ecocide, meaning the severe destruction of our ecosystem? “This is Ecocide” is a public awareness campaign about introducing ecocide as the fifth crime against peace. It offers a physical and digital stage for speakers in favour of a new international law that will keep us from destroying the planet. 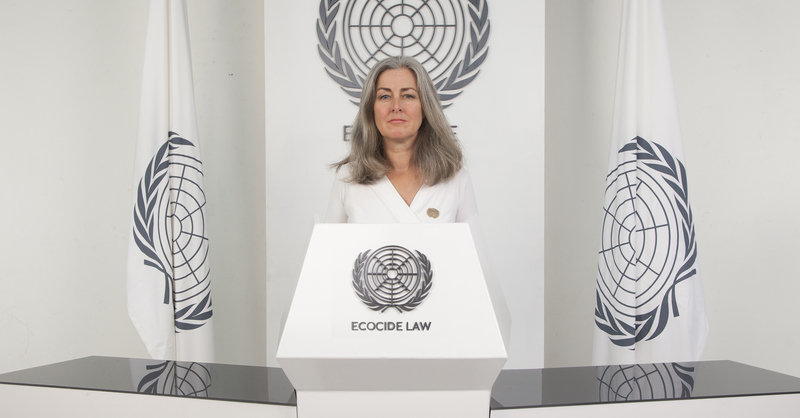 As advocates like lawyer Polly Higgins climb the stage and upload their pleas, anyone who cares about the environment can join the campaign. Let us call out together on as one united voice for Ecocide Law.